The Paper Players is celebrating their 200th Challenge ! WOW! Congrats to the Design Team! and choose that as your layout or idea. the great Color Combo they have going on over at Colour Me! I was trimming some of the paper down and thought it looked soooooo cool! Love when that happens. to be my signature. I use layering a lot and LOVE it! I hate to waste a bit of paper, so I use every single scrap. The rectangular window was cut with a spellbinders die and the great DP put behind it. The stamp is something I picked up at Michaels…one of those go to stamps that I love! The rest is self explanatory! I have linked up both sites for you soooo go on and have a look! 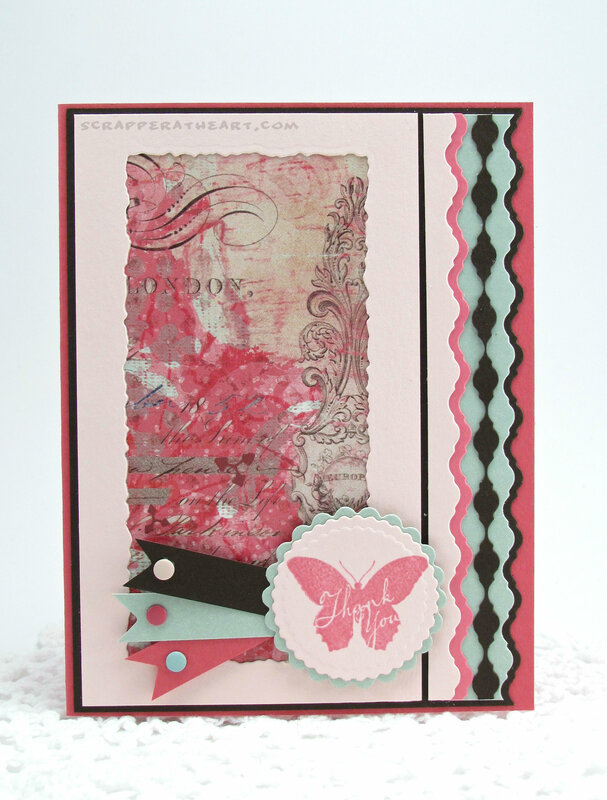 Categories: Cards | Tags: Card making, Cards, color challenge, rubber stamps, sketch challenge, Thank you card | Permalink. Oh, I love all those fabulous layers and that piece of DSP is so pretty! Great card Nancy! Thanks so much for joining us at Colour Me…! Love this and especially the border details on the side of the card. That was so clever to layer that way. Very pretty. Love the colors and the border on the side. Great job my friend. Very pretty, Nancy! What fabulous layers! I love the paper you used. 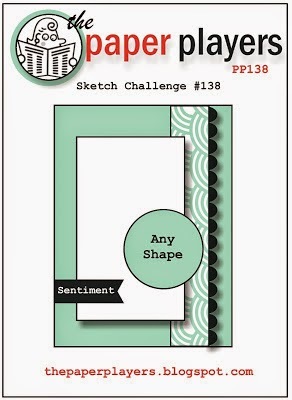 Thanks for joining The Paper Players in our 200th challenge! Loving all of the wiggly lines 🙂 So much fun! 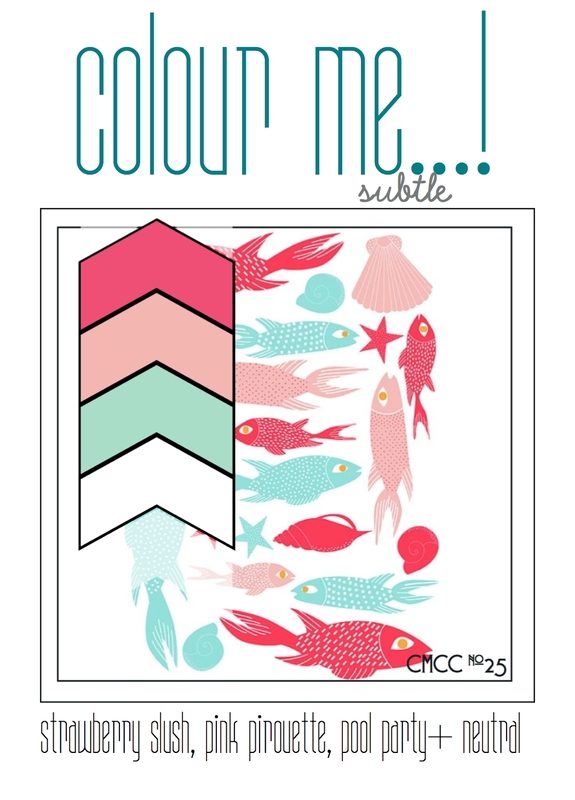 Thank you so much for taking the time to play along with us this week at Colour Me…! We sure hope to see you around again soon!!! Gorgeous border ! Just Stunning!